Victoria is facing a crisis of faulty, dangerous and leaking buildings comparable to the scourge of asbestos, could Adelaide be the same? 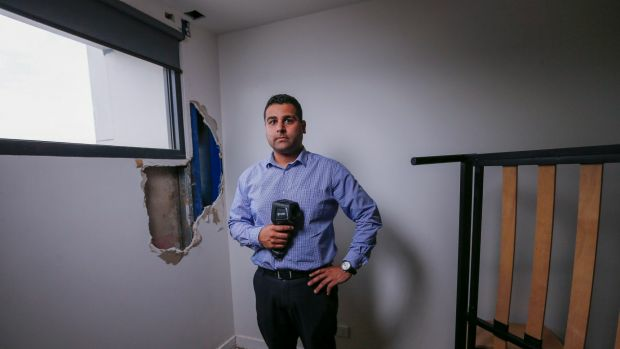 Victoria is facing a crisis of faulty, dangerous and leaking buildings that experts warn is comparable in scale to the historical scourge of asbestos. Shoddy materials and poor workmanship mean many homes and apartments in Victoria are likely to be outlived by their owners. 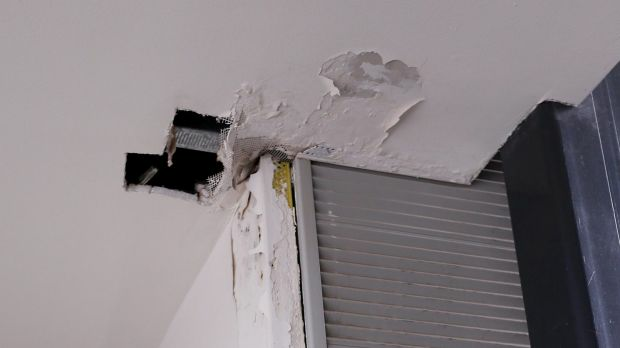 Structural failures are already emerging in residential buildings that are just a few years old, while a widespread “leaky building syndrome” has caused mould infestations so severe that many houses have become uninhabitable. Builders Collective of Australia president Phil Dwyer said there would be an “endemic failure of the building industry” in the next 10 years as a consequence of developers chasing profits at the expensive of longevity. “There will be so many defects and problems in buildings that we won’t be able to cope,” he said. Veteran building regulation expert Stephen Kip said it was extremely likely lives would be lost in Victoria due to poor building standards. He said he was aware of at least half a dozen occupied buildings that he considered unsafe for people to live in, mainly because of major fire safety risks caused by insufficient fire separation and the use of combustible cladding. 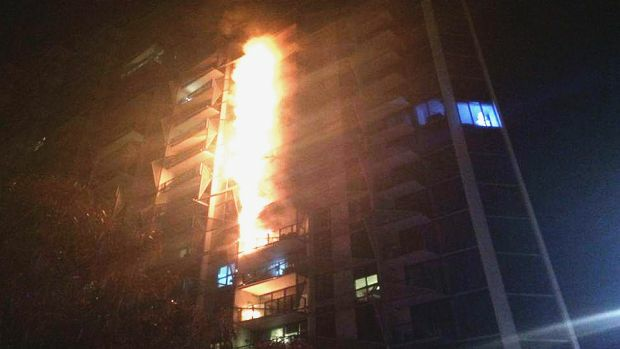 Mr Kip said there was a big problem with lightweight polystyrene cladding being installed on medium-sized apartment buildings because water would leak through the joints of the cladding. He said mould drove people out of their units, then the timber frame of a building slowly decayed to the point that the building would have to be demolished unless expensive repair work was undertaken. “I have personally seen dozens of buildings like this and I believe the problem relates to thousands of buildings built in the last decade,” Mr Kip said. While many agree there are pervasive flaws with the standard of new buildings in Victoria, there is not yet consensus about how to reform the industry, amid fears any changes might increase the cost of building homes. New laws may have to be introduced to manage mass demolitions of buildings with multiple owners. Leading building law specialist Tim Graham said in some cases the problems in apartment complexes were likely to be so bad it would be quicker and cheaper to terminate the owners’ corporation and collectively sell the land to a developer. He said current laws required 100 per cent of owners to agree to a demolition, but it’s likely these requirements will be changed in the future, perhaps to 75 per cent. 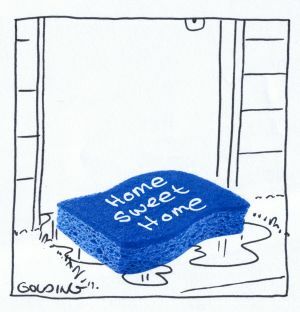 Meanwhile, there are reports standalone houses built in the past 10 to 15 years have already been demolished because of substandard builds – in suburbs including Drysdale, Reservoir, Caulfield and Balwyn North. Sahil Bhasin, the national general manager of Roscon, a company that specialises in identifying building defects, said more than 20 houses with polystyrene or “foam” cladding had been bulldozed after water leaked through broken cladding and rotted structural timbers. While others argue lightweight construction material poses no inherent problem if used correctly, Mr Bhasin said in his experience defects would always emerge, especially in cement sheet or polystyrene cladding. “Foam is meant to be used for eskies, not building houses,” he said. Mr Bhasin is calling for the quality of building materials to be assessed by authorities as part of the planning permit process. “We go to some of these places that are breaking down in front of us and it’s really sad,” he said. “What do you tell someone when you remove a little bit of plasterboard and find a whole rotted wall? When it comes to declining building standards in Victoria, the canary in the coal mine has been the drip drip of leaking homes. 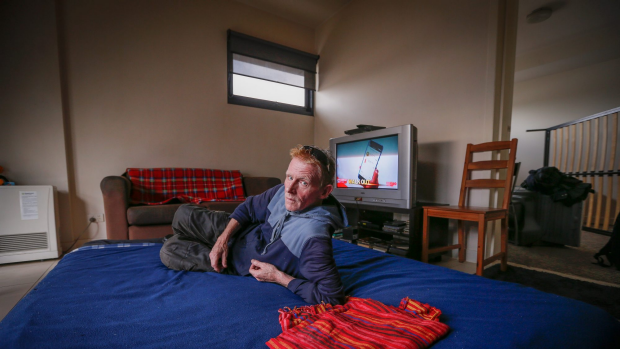 Ray Neary lives in an award-winning apartment in Coburg, built just five years ago. But for the past four months, he has been sleeping on a mattress on the floor of his living room, since water start leaking into his unit and dripping through his bedroom wall. “It got that damp I put my hand on it to see how soggy it was and my hand went through the wall,” Mr Neary said. His neighbours are also having problems. 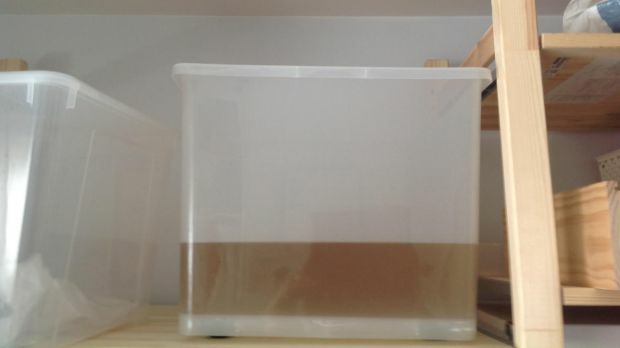 In the unit directly underneath, Mary Stella has set up a big plastic storage container to catch the litres of dirty tea-coloured water that have been dripping from a hole in the ceiling meant to hold an evacuation speaker. The Nicholson apartment complex was one of the first modular apartment buildings constructed in Melbourne, a project by Places Victoria (the government’s property development agency). Each unit was constructed in a factory and before Mary moved in she appeared in a newspaper article which heralded the project as the possible “future of housing for many in Melbourne”. 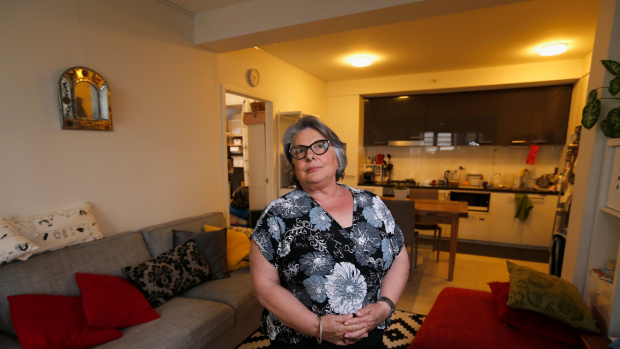 Now the retiree is thinking twice about her decision to trade in her three-bedroom family home in Brunswick for the $450,000 unit, after problems getting the persistent leaks fixed. Worryingly for residents, water damage can also be seen on the ceilings and walls of the building’s common areas and a number of balconies. “I thought I would do this and I wouldn’t have any problems with maintenance, but now I find myself in an even worse situation,” Ms Stella said. There are buildings in Melbourne that have survived more than 150 years. But, if the experts are right, there may not be too many “Millennial” homes that stand the test of time alongside the city’s proud legacy of Victorian and Edwardian properties. Phil Dwyer said his building company had knocked back offers to build 17 apartment projects this year because it was impossible to build a safe building that would last at the price demanded by the developer. “You can’t cut corners like that and get away with it,” he said. 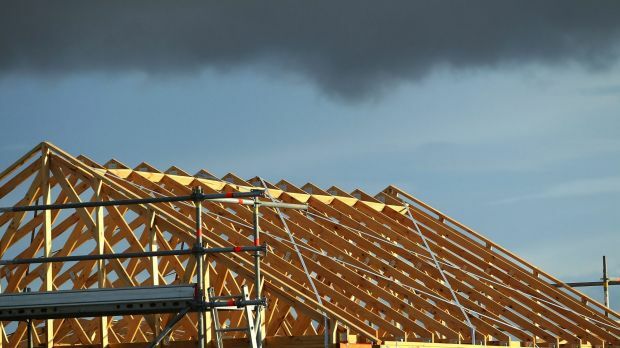 A growing chorus of industry experts say authorities have not grasped the scale of the problem, and have criticised the building regulators for their long-term failure to ensure builders and developers adhere to existing codes and standards. Stephen Kip said a lack of government oversight of the building permit system was key. “Most building practitioners have never had their work effectively audited,” he said. When one big audit did occur as a result of a 2014 fire that damaged the Lacrosse tower in Docklands (later found to have combustible cladding), the Victorian Building Authority found 51 per cent of Melbourne’s newest high rises also had cladding installed improperly. The Lacrosse fire prompted reforms by the Victorian government, including new injunction powers to inspect construction sites and rules compelling builders to repair bad work. Planning Minister Richard Wynne said he continued to raise building product issues with the Australian Building Codes Board. “We want to continue our push for higher standards,” he said. The Builders Collective of Australia is calling for a better building warranty insurance system that incentivise builders and developers to use proper construction methods and hardy materials by making them pay to fix defects. Others say too much of the building work in Victoria is being performed by people who are not properly trained nor registered as tradespeople, which means they are not held accountable for bad work. Meanwhile, the Property Council of Australia said an increased demand for high-quality apartments meant Victorian developers had a greater focus on building longevity.